Validation of a novel minimally invasive, image-guided approach to implant electrodes from three FDA-approved manufacturers—Medel, Cochlear, and Advanced Bionics—in the cochlea via a linear tunnel from the lateral cranium through the facial recess to the cochlea. Custom microstereotactic frames that mount on bone-implanted fiducial markers and constrain the drill along the desired path were utilized on seven cadaver specimens. A linear tunnel was drilled from the lateral skull to the cochlea followed by a marginal, round window cochleostomy and insertion of the electrode array into the cochlea through the drilled tunnel. 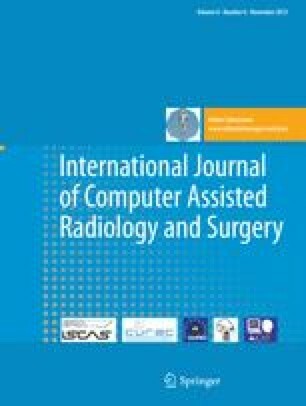 Post-insertion CT scan and histological analysis were used to analyze the results. All specimens (\(N=7\)) were successfully implanted without visible injury to the facial nerve. The Medel electrodes (\(N=3\)) had minimal intracochlear trauma with 8, 8, and 10 (out of 12) electrodes intracochlear. The Cochlear lateral wall electrodes (straight research arrays) (\(N=2\)) had minimal trauma with 20 and 21 of 22 electrodes intracochlear. The Advanced Bionics electrodes (\(N=2\)) were inserted using their insertion tool; one had minimal insertion trauma and 14 of 16 electrodes intracochlear, while the other had violation of the basilar membrane just deep to the cochleostomy following which it remained in scala vestibuli with 13 of 16 electrodes intracochlear. Minimally invasive, image-guided cochlear implantation is possible using electrodes from the three FDA-approved manufacturers. Lateral wall electrodes were associated with less intracochlear trauma suggesting that they may be better suited for this surgical technique. T. R. McRackan and R. Balachandran: both authors contributed equally to this work and are co-first authors. The project described was supported by Award Number R01DC008408 and R01DC010184 from the National Institute on Deafness and Other Communication Disorders. The content is solely the responsibility of the authors and does not necessarily represent the official views of the National Institute on Deafness and Other Communication Disorders or the National Institutes of Health. Robert F. Labadie, M.D., Ph.D. is a consultant for Cochlear Corporation, Medel Corporation, and Ototronix. Drs. Dawant, Fitzpatrick, Noble, and Labadie hold intellectual property rights on aspects of the technology described herein some of which may lead to commercialization with the potential for financial benefit to them.